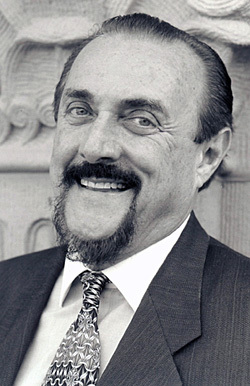 Social psychologist Philip Zimbardo has been studying the anatomy of human psychology for nearly four decades. In the summer of 1971, Dr. Zimbardo created the classic Stanford Prison Experiment, a simulation of prison life that investigated a provocative question: what happens when you put good people in an evil place? The results were dramatic, and launched a decades-long journey to discover how situational forces and group dynamics can work in concert to make monsters out of decent men and women. 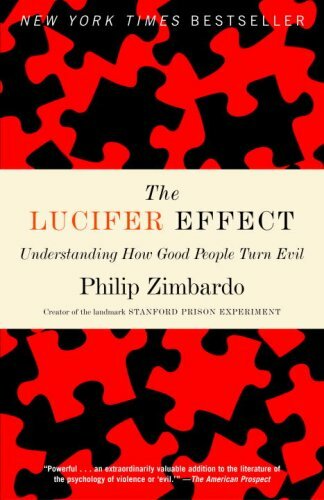 In The Lucifer Effect, Dr. Zimbardo takes the reader through this often dark journey, and in the process sheds light on topics ranging from corporate malfeasance to torture at Abu Ghraib to organized genocide. Dr. Zimbardo was kind enough to make some time to discuss the book and his ongoing initiatives. Your book, The Lucifer Effect, has become one of the core texts of the “situationist” school of thought, which has been gaining momentum of late. In what ways have you seen the Person-Situation-System understanding described in the book begin to take hold and tangibly change peoples’ thinking? It is only slowing being accepted because the dominant view in individualistic cultures, like ours in the United States, is entirely dispositional. We are excessively focused on the Person, as solitary actor on an empty stage delivering his or her soliloquy improvised from a free will core. We ignore the fact that every person is embedded in a social setting of co-actors, with varying costumes and props, and stage managers, and learned scripts. Most of us play roles so often and so long that we forget it is a role as it becomes who and what we are. Even more difficult to get the general public to accept is the power of systems to create, maintain and justify those situations that so significantly influence individual and group action. All of our institutions also adopt the individual model of responsibility, guilt, liability, sin, affliction, madness, etc. Religion, medicine, psychiatry, law, economics all are promoting individualistic orientations and the Medical Model of treatment, after the fact, of sickness. What we need is a paradigm shift to a Public Health Model of Prevention that recognizes situational and systemic vectors of disease in society, such as violence, prejudice, bullying, corruption and more. The Lucifer Effect is doing its best to nudge public thinking toward a more holistic view of the causes of human action, as requiring understanding of the Person’s characteristics, the Situation’s external influences, and the System’s combined power to make or break situations. I also have tried to do so with my web sites for the Stanford Prison Experiment (http://www.prisonexp.org), and the Lucifer Effect (http://www.lucifereffect.com), as well as crusading around the world in lectures on The Psychology of Evil and Heroism. I’ve given more than 50 talks in the last 18 months in 25 cities in 12 countries worldwide. Often when discussing evil acts, people use language that distances them from the potential for doing evil – as if only “other people” are capable of doing bad things. Why do we all seem predisposed to think this way? Are we hardwired to externalize evil? We have been taught that there is a fixed, impermeable line between good and evil, with the comforting belief that We and our Kin are on the good side and They, Those Others are on the bad side. This good-bad, dark-light dichotomy creates concepts of the other, the enemy, and supports not only prejudicial thinking, the in-group sense of superiority over the out-group, but worse of all it encourages dehumanizing others, thinking of them as undeserving creatures who are less than human. It is not hardwired into us; it is learned from adults, from the media, from politicians, from slogans and propaganda all around us. The Lucifer Effect ends with a discussion of heroism – the light on the other side of the “journey of darkness” the book takes us through. As a society, are we moving closer to that light of heroism, or farther away from it? It is hard to answer that from a national perspective because we are in such morally ambiguous times. CNN is honoring ordinary heroes with big cash prizes based on more than 3,000 nominations from people in 75 nations, and HEROES is one of the most popular TV series. There are now many web sites focused on different aspects of heroism as well. However, our leaders have let us down, starting with the lies and manipulations of the current administration to justify preemptive war of aggression in Iraq, which has taken an enormous toll on American lives, the budget, and caused the loss of the high moral ground on which the United States has stood for so long. Add the revelations of torture at the Guantanamo Bay detention camp and the Abu Ghraib prisons, along with the suspension of human and civil rights of hundreds of “enemy combatants” held indefinitely without charge. Then we add to that the crisis of collective greed on Wall Street and beyond, of financiers making endless high risk loans without the necessary credit or sufficient reserves. Supposedly experienced, smart, well-educated leaders of finance have sold out the rest of the nation in ways that will reverberate for years to come and cause needless suffering to working class American families. Yet, I am an optimist and believe in bottom up change. I am leading a charge to create a nation of “Everyday Heroes-In-Waiting” that will be the antidote to evil. The Heroic Imagination Project will explore the nature of heroism with new research; extend and amplify the concept through new curricula in schools, summer camps, and web-based programs; and inspire public commitments from millions of people in the United States and eventually around the world to take the necessary civil actions that promote the greater good in their communities. The Lucifer Effect ends with a glance at the banality of heroism as the flip side of the banality of evil—Hannah Arendt’s concept of societal monsters emerging only when put in situations that elicit evil behaviors. I argue that most evil is done by ordinary people cast into evil-generating situations or systems. On the other hand, some of those cast into challenging situations, are inspired by the heroic imagination to oppose evil or to aid others in need. My goal is to democratize and demystify heroism so that mainstream Americans will begin to see heroic action as realistically possible for any one of us, and invite young people to see their lives as heroes’ journeys. Regardless of who is elected our next President, what sorts of policies do you think need to be enacted to create a system that does not produce an atmosphere of enabling evil acts? He must regain the trust of Americans that the office of the president promotes first and foremost the interests and good will of the general public – that he will not serve the usual big money or ideological interest groups– whoever is underwriting his marketing budget. The next president will also need to inspire mainstream Americans and draw a Bright White Line of Goodness for the nation by supporting, encouraging and celebrating those who have the moral courage to become heroes in the community, education, business and government. If either candidate can communicate this message and then walk that high road for the next four years, the United States can undo some of the damage to its reputation caused by the old guard in Washington and rekindle the hope that we are a nation of citizens who can become real heroes when they are put to the test. 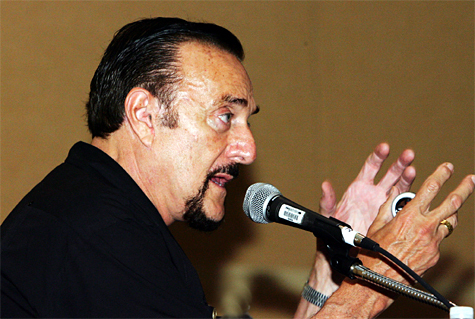 Watch Dr. Zimbardo’s speech from the 2008 TED Conference here. Pingback: I liked this book: “The Lucifer Effect: Understanding How Good People Turn Evil” by Philip ZIMBARDO - Get a result now!